Island Living at its finest! 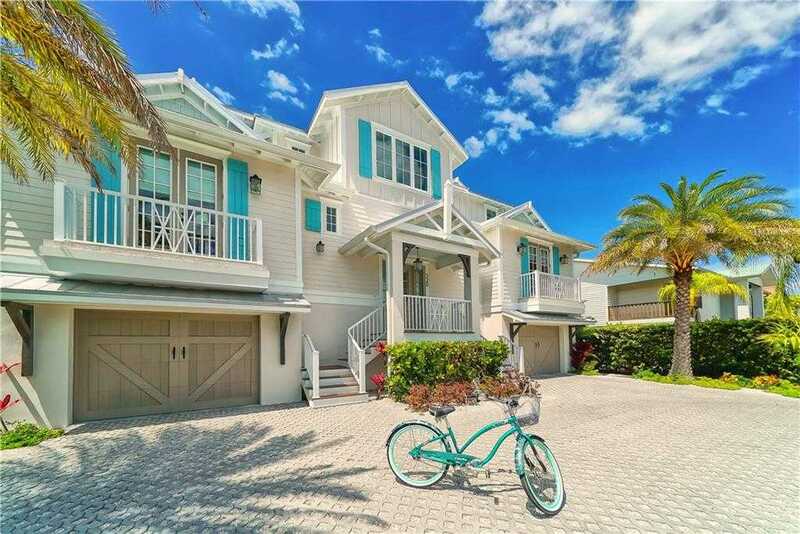 No detail has been overlooked in this impeccably built 4-bedroom, 4.5-bath waterfront pool home in the heart of Anna Maria. The open plan main level has abundance of natural light 8211; perfect for entertaining or family living. You 8217;ll find rich hardwood flooring, beamed and vaulted ceilings, a great room, elegant dining room, and a gourmet kitchen. The ideal space for gathering 8211; this kitchen is every chef 8217;s dream, with shaker-style wood cabinets, quartz counters, large island with breakfast bar, stainless steel gas appliances and detailed tile backsplash. In addition to 4 large bedrooms, you 8217;ll find an executive office. The sumptuous master suite boasts a beautiful bathroom with his and hers vanities and spa-like shower. Outside, you 8217;re surrounded by lush landscaping for ultimate privacy. Enjoy tons of living space, covered and uncovered. The large resort style saltwater pool has a shallow lounge area, plus umbrella shaded seating and heated spa. Stay and relax and lounge by the pool, or take off from the dock to enjoy the Gulf of Mexico. Deep water with no bridges. This home has every upgrade, from Bermuda shutters, the circular drive to your 3-car garage, and elevator to all levels. If you 8217;re looking for ultimate luxury and clean coastal design 8211; you 8217;ve found it! Plus, you 8217;re within steps to restaurants, boutiques, and the white sandy beaches of Anna Maria. Please, send me more information on this property: MLS# A4432227 – $2,750,000 – 520 Kumquat Dr, Anna Maria, FL 34216. I would like to schedule a showing appointment for this property: MLS# A4432227 – $2,750,000 – 520 Kumquat Dr, Anna Maria, FL 34216.